It’s time to fight alongside more than a dozen recognizable characters from The Legend of Zelda series to save Hyrule from a menacing new force. It’s time to dive into a crossover unlike anything Nintendo has ever done before, combining the vast universe of The Legend of Zelda franchise with the breathless fast-paced action perfected by the Dynasty Warriors games. 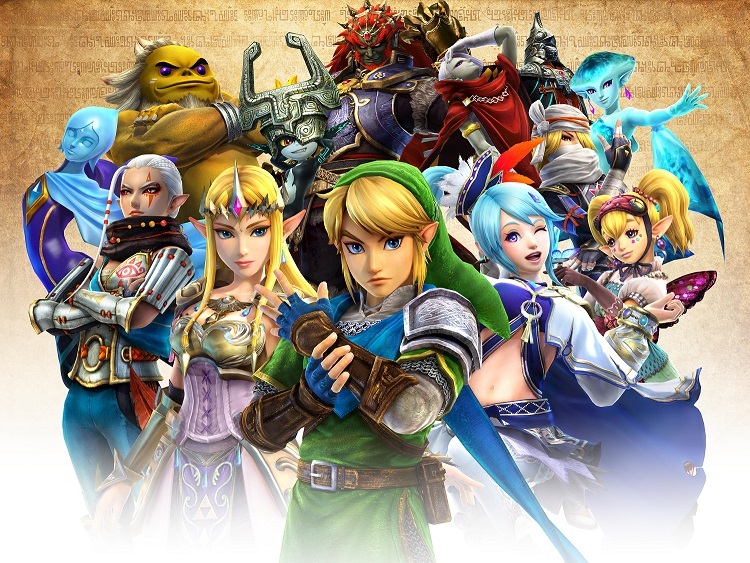 On September 26, it’s time for Hyrule Warriors. 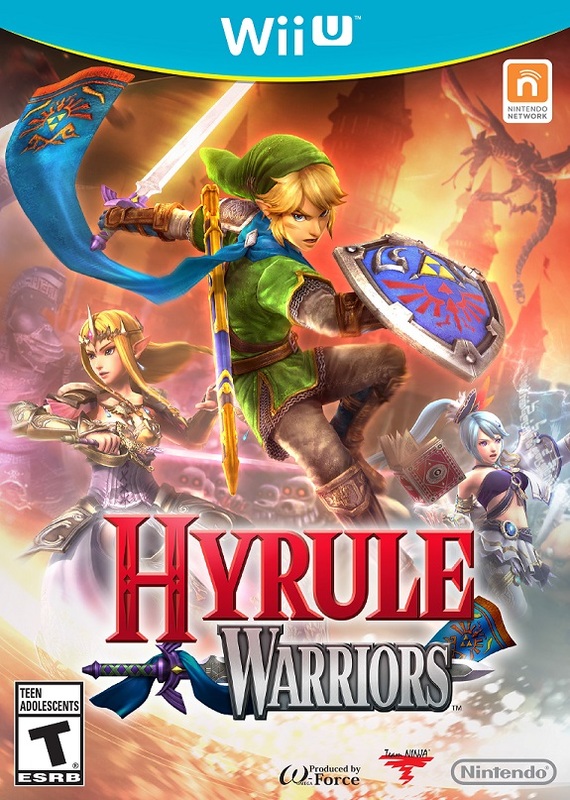 Launching exclusively for the Wii U console, Hyrule Warriors lets players unleash the full power of iconic characters like Link, Zelda and Ganondorf, as they cut down legions of enemies on massive battlefields in familiar settings from The Legend of Zelda series like Hyrule Field, Death Mountain and Skyloft, as well as new locations created specifically for the game. The frenetic action of the Dynasty Warriors franchise blends beautifully with The Legend of Zelda series to create a unique hybrid that feels as seamless as it does bold. In the game, players are tasked with defending and reclaiming massive battlefields from hordes of enemies. To do this, players take control of different characters familiar to fans of The Legend of Zelda series – many of them, like Impa, Fi, Darunia, Zant and Princess Ruto, playable for the very first time. Each of these playable characters is equipped with unique weapon types and ferocious special moves that work with his or her strengths. Zelda wields a razor-sharp Rapier to defeat foes, Sheik uses a magic Harp to vanquish enemies and Link brings his massive Hylian Sword to battle. Mastering all of the characters’ moves and basking in their flashy animations is part of the fun and appeal of the game. Throughout Hyrule Warriors, players can collect critical items that will help them defeat tricky enemies, solve puzzles and access new places on the expansive maps. These useful items come in the familiar forms of classic tools from The Legend of Zelda series, and are used in similar ways. For example, when bombs are found, players can use them to blow away blocked passages or even help bring down a giant lizard-like creature that longtime fans will instantly recognize. Other items like the Hookshot, bow and boomerang can also be found in treasure chests, accompanied by that classic sound effect upon discovery. In addition to the robust single-player adventure, Hyrule Warriors offers additional modes that expand the game-play possibilities. Adventure Mode features a map visually inspired by the overworld of The Legend of Zelda for NES. In this mode, specific challenges can be completed, which allow players to unlock additional playable characters, collect hard-to-find materials and upgrade character features. Two warriors can also take on Hyrule Warriors together in a local co-op mode. Instead of a traditional split-screen, one player plays on the TV, while the other can play with the Wii U GamePad controller, providing each player with his or her own screen. Nintendo plans to support Hyrule Warriors for the long run with more content to help players expand their adventures even further, kicking off when the game launches on September 26. People who buy the game will receive access to a free download that adds a new mode, a new weapon and the option to select music during a stage to add to the Hyrule Warriors experience. Anyone who registers the game by October 23 with Club Nintendo will receive a free download code for a set of alternate in-game costumes for Ganondorf. Additional costumes will become available for purchase in the Nintendo eShop in the near future. Hyrule Warriors launches in stores and in the Nintendo eShop on Wii U on September 26 at a suggested retail price of $64.99. For more information about the game, visit the official Hyrule Warriors game page, Like the Nintendo of Canada Facebook page and follow Nintendo of Canada on Twitter. This entry was posted on Friday, September 26th, 2014 at 8:37 am and is filed under Action Adventure, National News, New Releases, Teen. You can follow any responses to this entry through the RSS 2.0 feed. You can leave a response, or trackback from your own site.